Jeremy Clarkson has said that The Grand Tour’s increasingly international profile on Amazon Prime Video has led to key changes that make the motoring format more global-facing. The presenter, who hosts the series with Richard Hammond and James May, said various format points were evaluated ahead of the show’s third series, which debuts on Friday (18 January) and is one of Amazon’s most successful originals. Speaking at a launch event in East London on Tuesday (15 January), Clarkson confirmed that guests on the show, who in the past have been predominantly British celebrities such as actor Dominic Cooper and boxer Anthony Joshua, do not figure in the latest series. “The fact of the matter is, when we began on the other show [Top Gear], many years ago, on BBC Corbyn, it was a British show that was only really shown in the UK. And then it became international, and it still is very, very international,” said Clarkson, who was sporting a gash on his hand following a minor accident “taking a hammer to a porcelain duck” in Georgia. Hammond added that the decision was made after Amazon and the team “looked at what people liked the most” via internal data. The London event saw Amazon converting an area of East London’s The Brewery venue into its own pub setting with two makeshift bars that many in the audience – which included media, around 200 Grand Tour fans and key execs such as Amazon’s VP of Prime Video for Europe Jay Marine – believed to be a real pub. TBI understands the setting was built because Amazon had issues finding a pub with a large enough screening area for the audience. 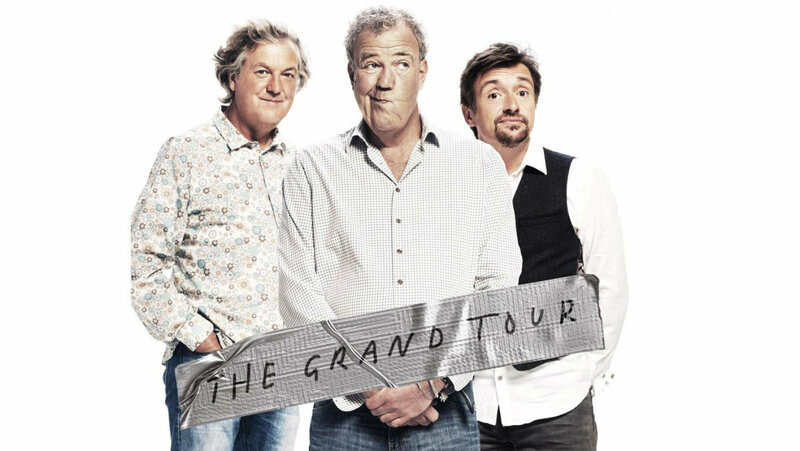 The trio also addressed questions around the future of the show on Amazon, which initially inked a three-series deal with the presenters in June 2015, following their exit from the BBC’s Top Gear after it was revealed that Clarkson had punched producer Oisin Tymon just a few months prior. The presenter later apologised, after settling a racial discrimination and injury claim lodged by Tymon against Clarkson and the BBC for an estimated £100,000. Despite the incident, Clarkson was brought into the Amazon fold mere months later, and has also gone on to host ITV’s Who Wants To Be A Millionaire? reboot. Addressing the show’s future on Amazon, Clarkson confirmed that the trio will do more series with the streaming giant. “We love Amazon and they seem to love us, so you’ve got us for a few more series yet,” he said, adding that the trio would return for series four and five, but first had to focus their attention on completing the current series, which is still being filmed and edited. The programme, which will be released weekly on Amazon across 13 weeks, includes a number of regular episodes and specials. While the premiere episode follows the traditional format with the trio filming muscle car stunts in abandoned warehouses and theaters in Detroit, specials have been shot across Colombia, Azerbaijan, Mongolia and Arizona.